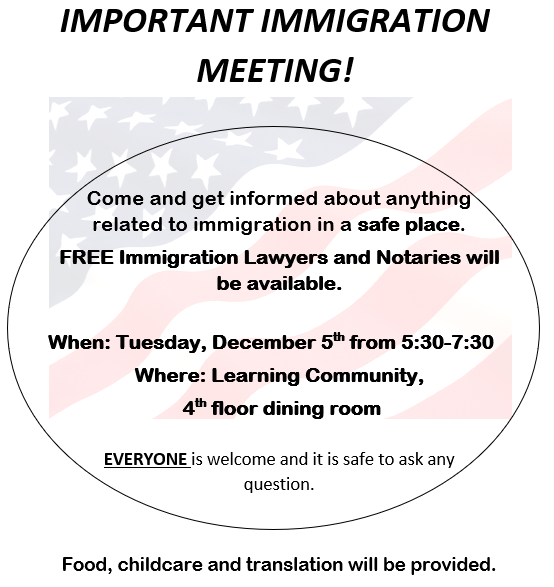 Important Community Meeting Dec. 5th! 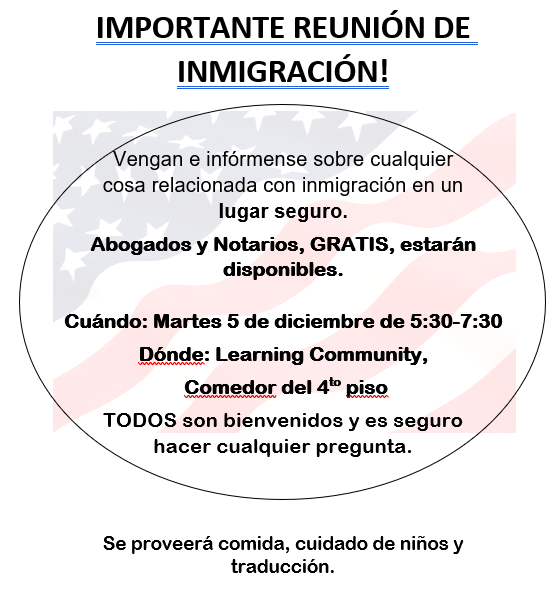 All are invited to an important Immigration meeting on December 5th at 5:30 here at The Learning Community. Information is available in a safe place with FREE immigration lawyers and Notaries available.